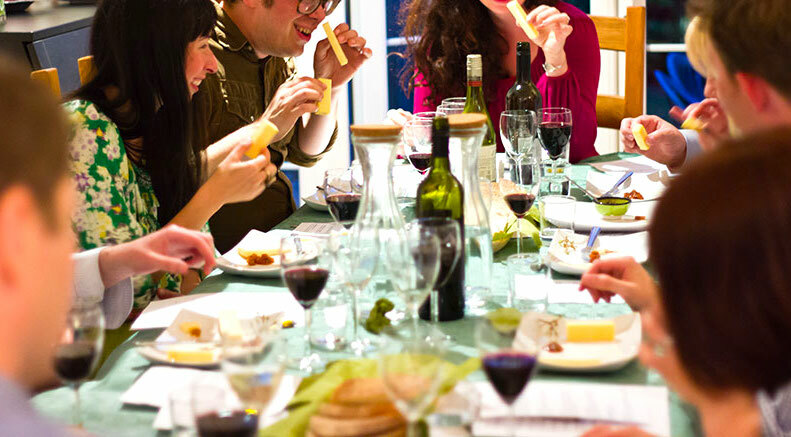 Our private cheese and wine tasting events can be held in your home or the venue of your choice. These events combine a fun and informal style of education about the cheeses with wine pairings – which we can provide and include in our pricing, or we can advise the host of the wines to purchase to pair with the cheeses we will be bringing to the event. These events are customizable within reason. If you have specific types of cheeses you want us to try to include, we can do that. If you are serving dinner after your tasting, you can also let us know what your menus is and we can suggest wines to pair with dinner as well as which cheeses might make an excellent dessert course for your guests. Pricing starts at $50 per person including wine with a minimum of 10 guests. Please give me a call to arrange a consultation for your event! I can’t wait to share my passion for cheese with your guests!